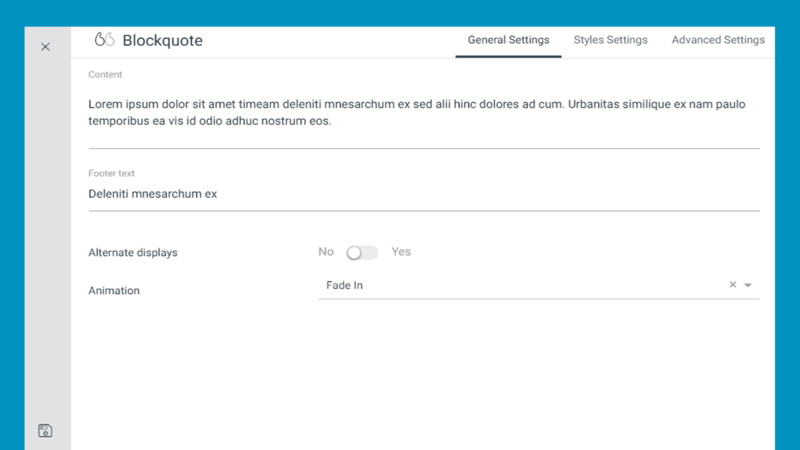 This module allows you to create quote texts in a web page in the most simple way have your ever think. It has a customization module that can be configured in a minute, even without requiring any coding knowledge. Usable in any type of websites. Content : The text that you want to quote. Footer Text : The source or owner of that quoted text. Alternative displays : You can enable or disable this option to make your desire change. Animation : Choose an animation effect to apply on the module. 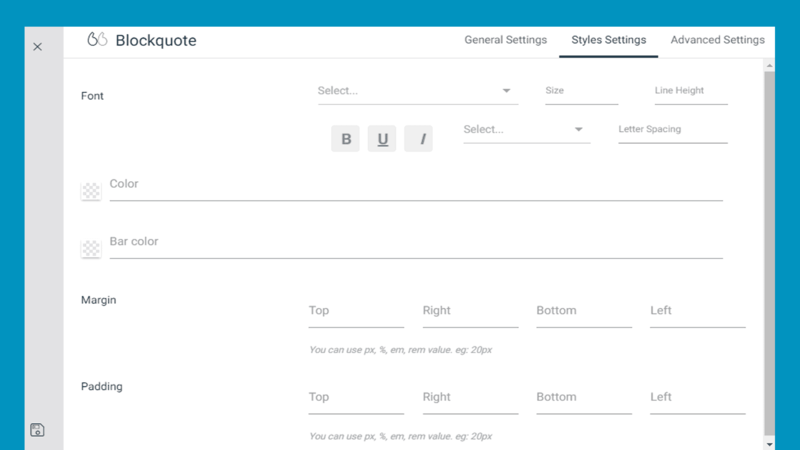 Font : Select a font style for the module. You can customize the style according to your need with this option. Color : Choose a color for the text. Bar Color : Choose a color for the bar. Margin : You can define the amount of margin in pixel for Top, Right, Bottom and Left as well to the module. Padding : You can also define the amount of padding in pixel for Top, Right, Bottom as well as Left to the module.